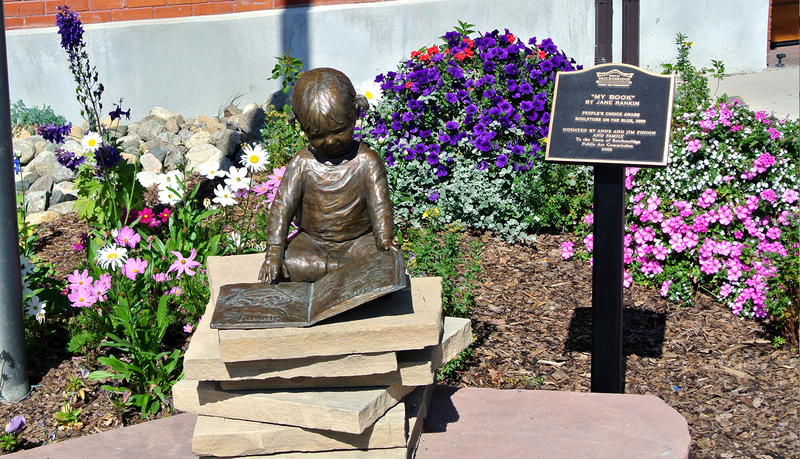 The South Branch Library was not in the spacious and bright building it is today; when South Branch outgrew its old location, the town began looking for a special space to transplant the library and put down new roots. 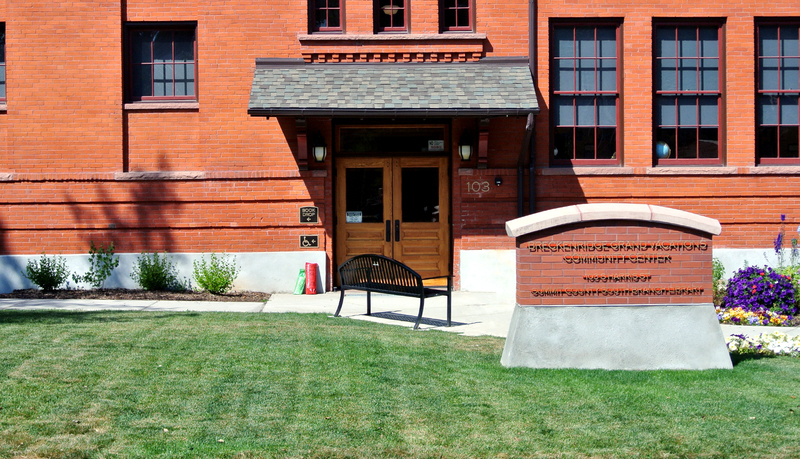 It was decided to rehabilitate a historic high school building. 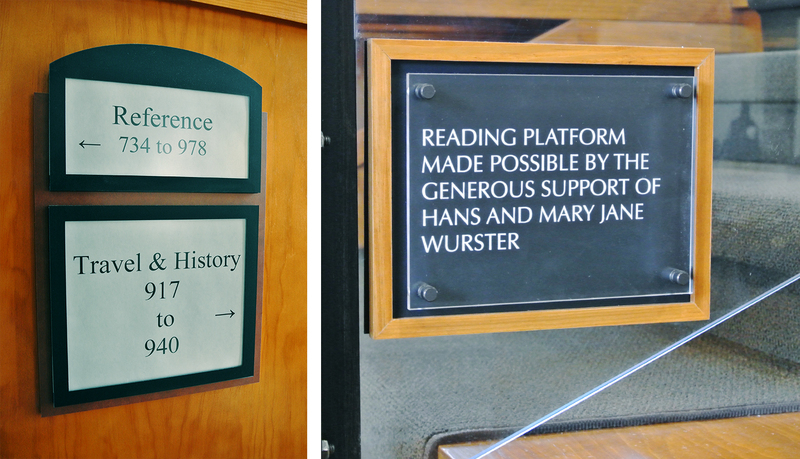 Originally built in 1909, the space helped expand the library’s role into a community center for the benefit of everyone in town. 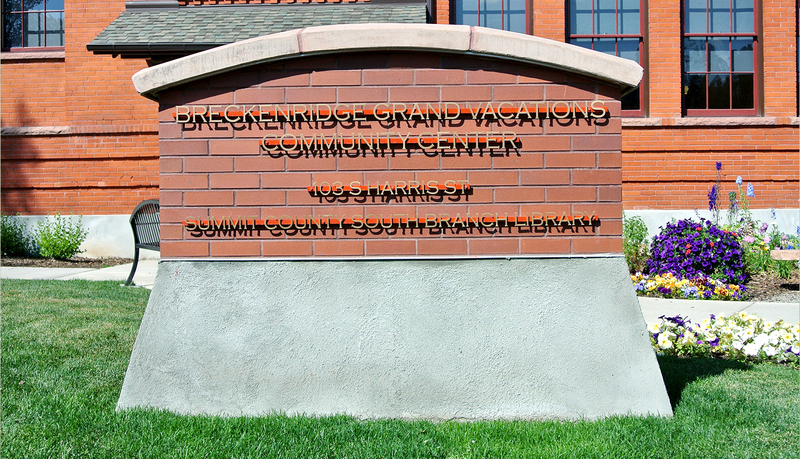 The historic new home to the South Branch Library is picturesque and full of light. 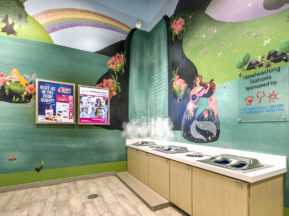 Visitors describe it as a “beautiful spot to relax, look out the window and enjoy the surrounding mountainscape.” The layout of the building allows full utilization of the space, with play areas and a coffee shop in addition to the collection of books, magazines, and digital media. 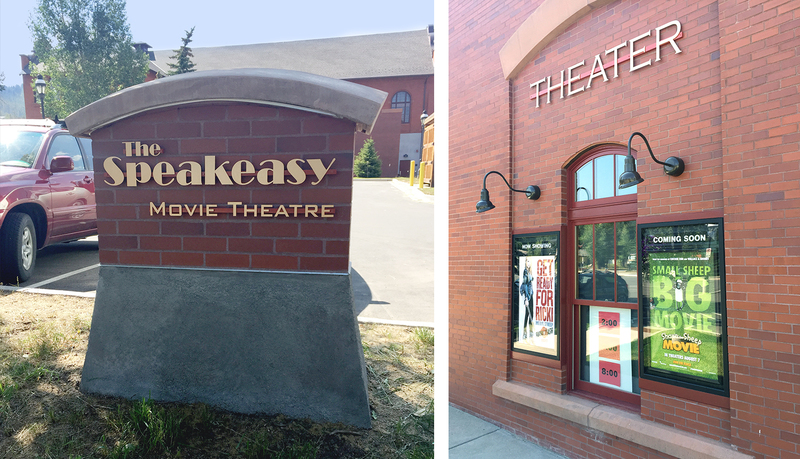 This is the home of the four-day Breckenridge Film Festival, held every fall in the Speakeasy Movie Theatre. 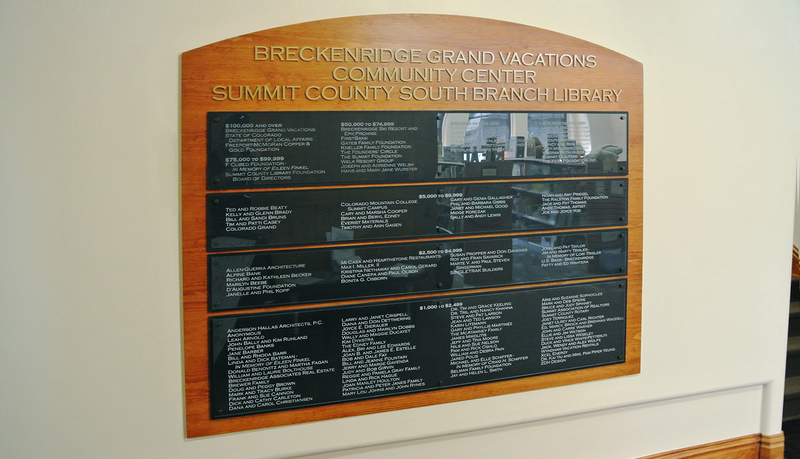 The Breckenridge Film Festival has been nomadic for a few years in its office arrangements, so having a permanent home is a coup for the festival. 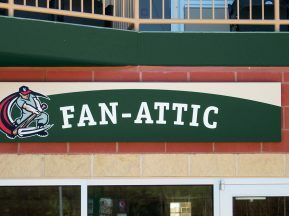 “We needed to find another office anyhow, and being linked up with some other groups like The Summit Foundation, the (Breckenridge) Heritage Alliance and being in the same building as the Speakeasy Movie Theatre when you’re a film festival — it’s good to be close to big movie screens and the smell of popcorn,” – Gary Martinez, President of the Organization. 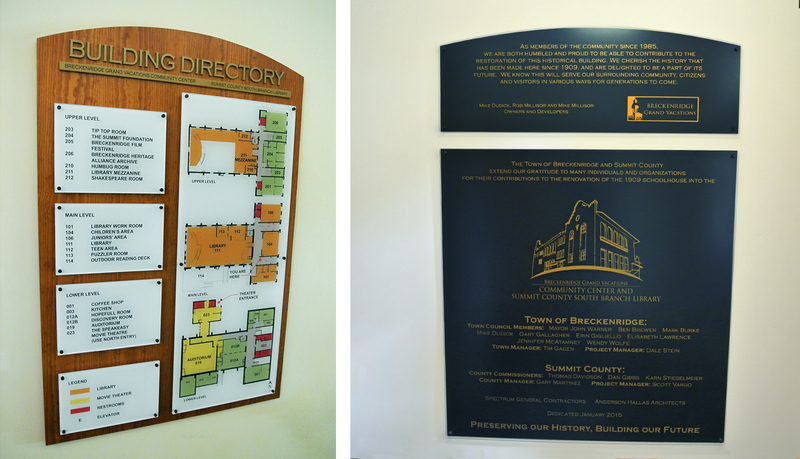 Preserving the classic look of the space, while providing a polished look that the community could be proud of was the main goal of this project. ASI, Colorado created a plan centered around natural elements fitting to the space, like slate and wood. 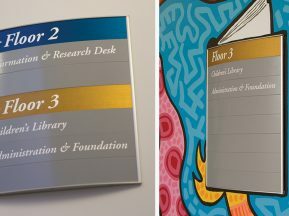 These materials offered the most classic look, seamlessly blending with the building’s existing interior finish. 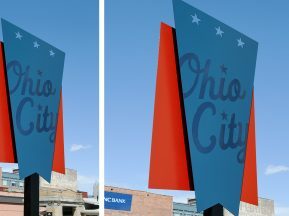 Collaboration began with the project architect in the fall of 2013, developing a sign program that would offer desirable design options. 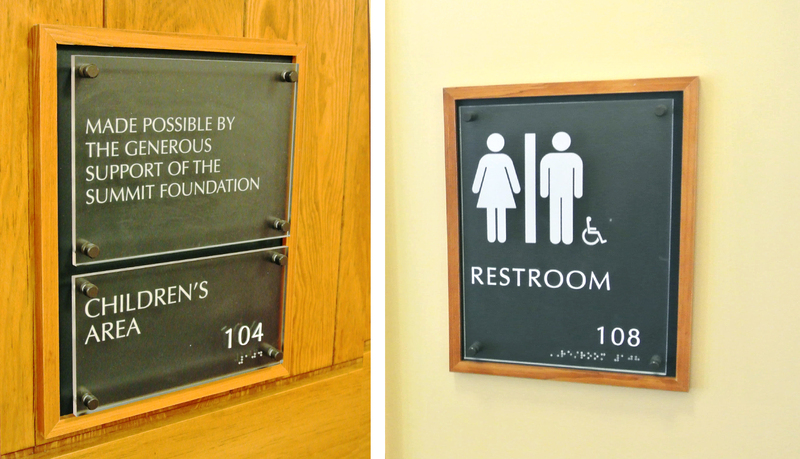 Some of the solutions selected were laser etched acrylic, brass plaques, and an eco-friendly ADA solution, Intac™. 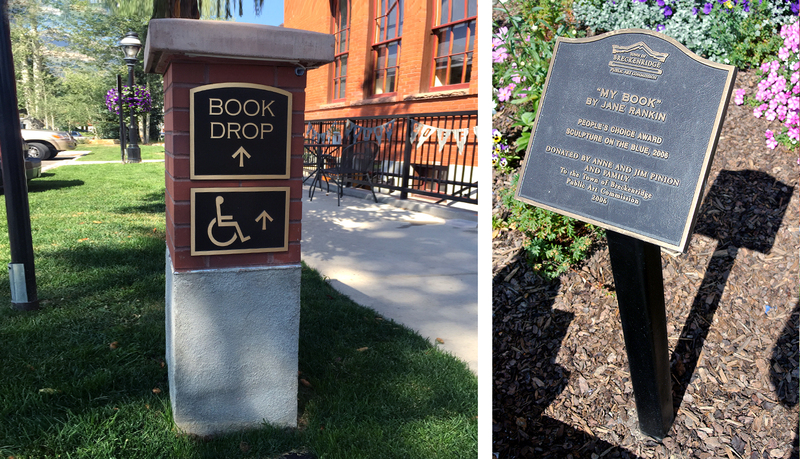 Ultimately, the combination of antique slate, slate laminates, pine wood, acrylic and standoffs were chosen to maintain a historic look while offering high-end, custom signage.